HONOLULU – The Hawaii Department of Transportation (HDOT) Airports Division alerts travelers of limited parking at the Honolulu International Airport’s public parking lots during Thanksgiving weekend due to an increased amount of air travel. Travelers are encouraged to get dropped off at the airport by a friend or relative or schedule a shuttle, taxi or another method of transportation. 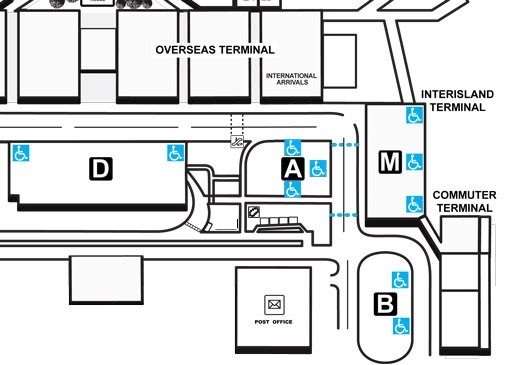 The HNL Interim Car Rental Facility that opened on Nov. 4, 2015 is located in the eastern half of the Overseas Parking Structure. The Facility consolidated the five existing car rental companies on the airport premises to operate efficiently from one location. The facility houses Advantage, Avis, Budget, Hertz, and National car rental companies as well as a new car wash, fueling stations, customer service building and hassle-free car pick-up/return areas.